Proudly made in the USA to Shun's exactling specifications by Hedley & Bennett, manufactures of professional chef's gear. 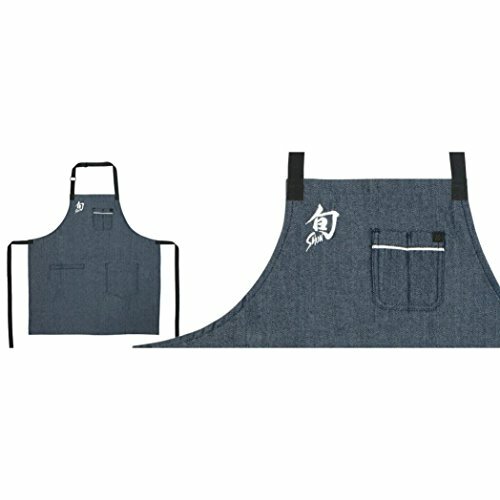 The Shun apron is exquisite and features adjustable neck straps and large pockets. There is a towel loop and chest pocket to hold all your gadgets comfortably and securely. Clean, simple, comfortable, durable—these aprons will keep you looking like a pro. Machine wash cold, hang-dry recommended. The adjustable neck strap ensures a comfortable, perfect fit.